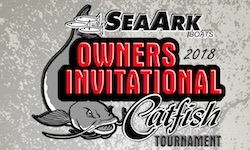 MONTICELLO, AR (October 27, 2017) -– SeaArk Boats is excited to announce the 8th Annual SeaArk Boats Owner’s Invitational Catfish Tournament will be held April 27-28, 2018 on Wheeler Lake in Decatur, Alabama. SeaArk owners travel from across the country to participate in this exciting event and this upcoming year’s event is expected to be even larger, surpassing the record 141 teams participating last year. SeaArk pays out to the top 20 places. 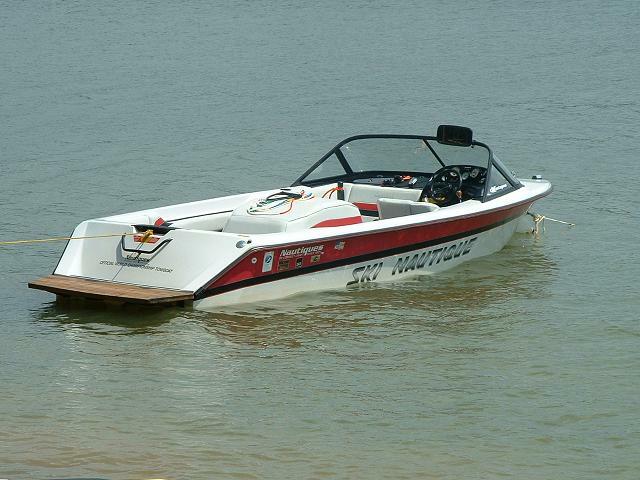 Teams that weigh-in at least one legal catfish are then entered into a drawing to win a brand new ProCat 200 with the Patriot Red Amped Package, Marine Master Amped trailer, and Suzuki DF200ATX engine, valued at $46,000. This year SeaArk is paying $500 to the winners of two new awards — the Goose Egg award for a team that does not weigh-in a fish, and the Little Cat award for the youngest participant. This year’s Big Fish award is sponsored by LINE-X and will include a $500 certificate in addition to prize money. The Decatur-Morgan County Convention and Visitors Bureau (DMCCVB) will be providing an extra incentive for teams staying at the host hotels in Decatur with an entry into a $500 drawing. Registration will open January 22, 2018. Current sponsors include DMCVVB, LINE-X Protective Coatings, Suzuki Marine, and Marine Master Trailers. More information about this event can be found at http://seaarkboats.com/catfish_tournament/home/. About Decatur-Morgan County Conventions and Visitors Bureau: The Decatur-Morgan County Convention & Visitors Bureau is a not-for-profit organization promoting tourism and economic growth in Morgan County. For information on special events and attractions throughout Morgan County, contact the DMCCVB at 800.524.6181 or 256.350.2028; or visit its website at www.decaturcvb.org.